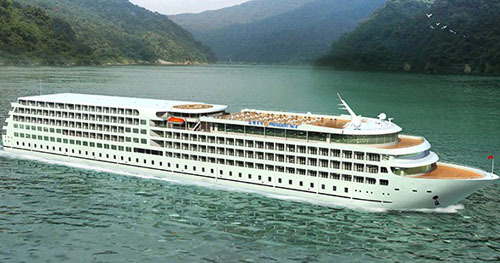 Designed in the same standard with its sister ship President 7, the President 8 is 146.8 in length and 20.2m in width, being one of the largest cruise ships that the Changjiang Shipping has designed so far. 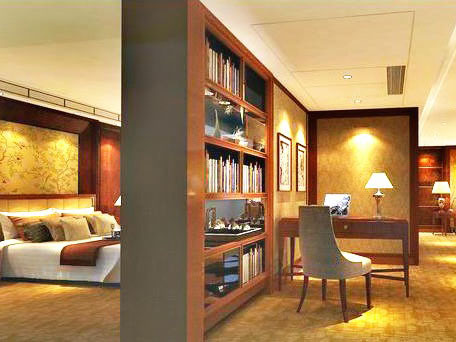 The President 8 boasts a total of 230 rooms, among which 215 are Deluxe Standard Rooms, 13 Deluxe Executive Rooms, both on the top deck, and 2 Presidential Suites on the fore side of the 3rd Deck. 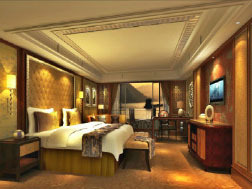 Moreover, in order to provide family guests a more convenient stay, 100 Deluxe Standard Rooms can be upgraded into Triple Rooms. 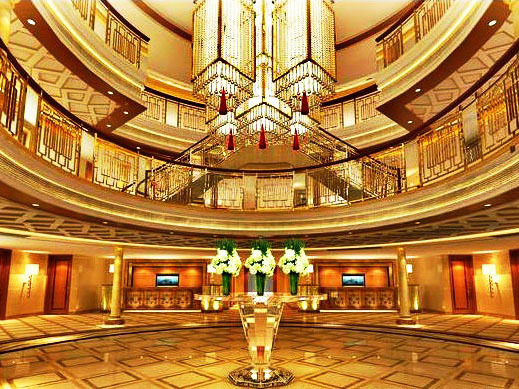 With all its high-end facilities and concerning service, the President 8 is among top of your choice to enjoy a Yangtze River Cruise. Day 2 Welcome Banquet. Dancing Party. Shore excursion to Shibaozhai. Optional tour to Fengdu Ghost City (RMB 280/person). Day 3 Sailing through Qutang Gorge and Wu Gorge. Shore excursion to Shennong Stream. Crew's performance. Optional tour to White Emperor City (RMB 280/person). Day 2 Sailing through Xiling Gorge. Shore excursion to the Three Gorges Dam Site. Passing through the 5-level shiplocks. Captain's welcome banquet. Optional tour to the Three Gorges Tribe Scenic Spot (RMB 280/person). Day 3 Shore excursion to Shennong Stream. Optional tour to the White Emperor City (RMB 280/person). Sailing through Wu Gorge and Qutang Gorge. Crew's performance. Day 4 Shore excursion to Shibaozhai. Captain's farewell banquet. 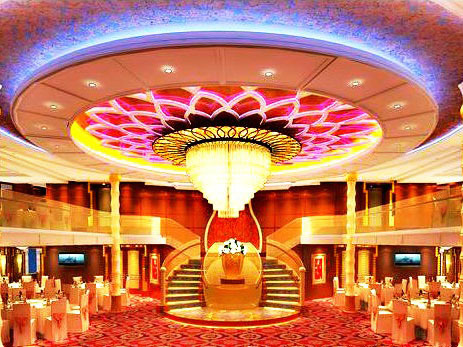 Night on the Yangtze River-Gathering party. Optional tour to Fengdu Ghost City (RMB 280/person). Day 5 Arriving in Chongqing at 9:00am.